Babies, toddlers, preschoolers, and big kids all love Music Together®! Our playful music classes for kids support every child, no matter their learning style or stage of development. Each weekly class includes lots of music activities especially created for young children, led by a trained teacher who inspires everyone to join in the fun. 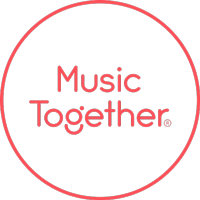 Explore the different Music Together classes offered at Music Together Chattanooga to find the best fit for your family. Then sign up to visit a class free and experience it for yourself! Babies Music Class: For infants under 9 months. Open up the world of music-learning for your new little one. Mixed-age Music Class: For kids birth through five and their grownups. Learn and play musically together. Generations Music Class: For kids birth through five and their grownups, plus “Musical Grandfriends” at the senior residence [NAME OF FACILITY] in Chattanooga. Rhythm Kids Music Class: For children ages 4-8. Rhythm kids dig deeper into how music works in this drop-off class. Classes for Children with Special Needs: Children of all developmental levels are welcome in all of our classes. Copyright © 2019 Music Together Chattanooga. All rights reserved.